In 2018, 5,745 new registrations of natural gas vehicles were recorded, representing an increase of 146% compared to the previous year. Of these registrations, 407 aire CNG buses, 96 are CNG trucks, 508 are LNG trucks, 936 are CNG vans and 3,798 are CNG cars. The significant number of vans, buses and trucks registers consolidate natural gas as the sustainable alternative energy for urban and road transport of passengers and cargo. These figures meant an increase of 68% in natural gas vehicles in 2018, reaching 14,216 NGVs. Of the total, 3,407 units are CNG and LNG trucks, an increase of 127% in the compared to the heavy-duty natural gas fleet for professional transport in 2017. On the other hand, 2018 closed with 2,000 vans, almost 7,000 cars and 2,600 buses powered by natural gas, which represents an increase of 93%, 150% and 20%, respectively, with respect to the previous period. It is important to underline that a total of 13,700 natural gas vehicles were manufactured in Spain in 2018 – at Iveco, Seat and Volkswagen plants – of which 70% have been commercialized outside the country’s borders. Spain currently has 144 natural gas stations and it is expected to open 46 more. During 2018, 19 service stations were opened, 13 for public use and six for private fleets. Moreover, the fleet of LNG-powered vessels has grown globally: from 118 vessels in 2017 to 143 in 2018. There are 135 more ships in the portfolio and another 135 are ready to operate with LNG. The LNG-powered ships in the portfolio cover a wide variety of types, including oil tankers, cruise ships, container ships, Ro-Ro and VLOC. In Spain, it is necessary to underline Bàlearia’s strategic commitment. The company plans to have at least half of its ferry fleet in the next three years running on this clean energy. To this end, the retrofitting of six of its vessels began in 2018, which will be added to the three LNG-powered ones that are currently being built: two smart ships and the first LNG high-speed passengers and cargo vessel of the world that will be built at Armón shipyard. During 2018, numerous projects were also carried out to improve the LNG bunkering infrastructure at Spanish terminals. 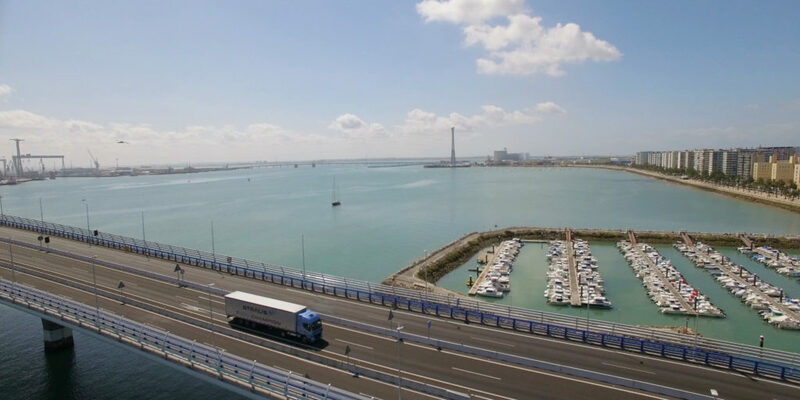 The regasification plants of Barcelona and Bilbao already have adapted pontoons to carry out bunkering pipe-to-ship operations (from the terminal to the ship). Likewise, Cartagena and Murgados are carrying out the adaptations and Huelva and Sagunto will join under the framework of the CORE LNGas Hive2 project. The Iberian Peninsula currently offers one of the fastest growing markets in terms of the adoption of natural gas in road and maritime transport. In this extremely encouraging scenario, AltFuels Iberia 2019 will take place on 11-14 June at IFEMA Trade Center, Madrid. It will be an event consisting of first level conferences and exhibition of vehicles of all kinds, refueling stations, components, plants, road and marine engines, as well as the entire universe of the alternative fuels industry with the latest technological developments, multiple options for networking, business and new advances. For more information, please contact info@altfuelsiberia.com.